A few kilometres to the east – quarter of an hour in the car – from our home and B&B in Ancinnes brings us to a lovely region of southern Normandy known as the Perche. The region of the Perche is one of the most endearing of Normandy, with its varied and hilly landscapes, picturesque villages, its architectural beauty, and especially the richness of its food and agricultural produce. The local lords of the sixteenth century lived what might seem an idyllic existence, combining lordly opulence with the simplicity of a country life. The understated beauty of the Percheron manor houses they built never fails to charm the visitor. These old, stone-built mini-chateaux, roofed with tiles and slates, are scattered throughout this rustic, agricultural region on the borders of Normandy and the Pays de la Loire. The Perche is also the native land of a famous breed of horse, the Percheron, and of many families of emigrants to Canada. 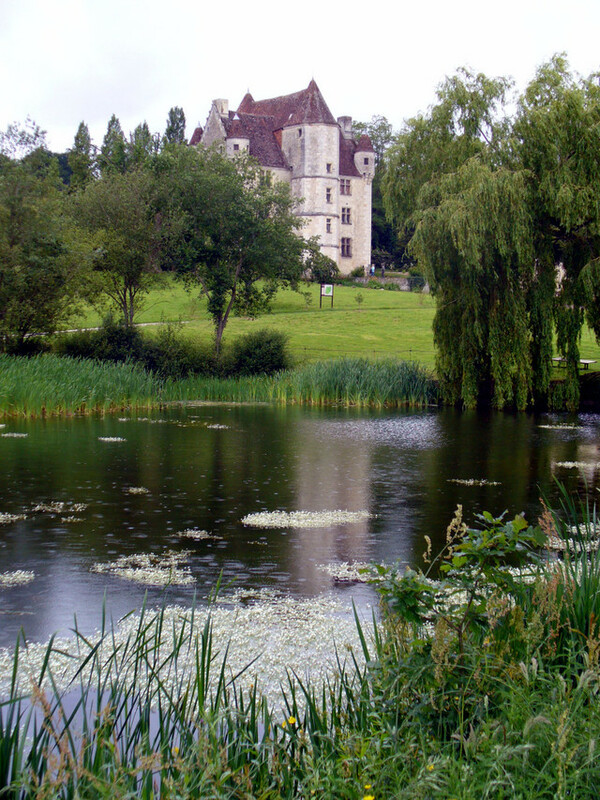 It is also the seat of the Counts of Perche and boasts a splendid Trappist abbey at Soligny la Trappe. Bellême, Rémalard, Villeray, Colonard-Corubert, Nocé, … we take the basis of our route from the excellent little booklet “Routes Tranquilles du Perche” available at tourist offices in the region. We can loan visitors a copy. On the edge of the beautiful forest that bears his name, Bellême is the historic capital of the Perche. 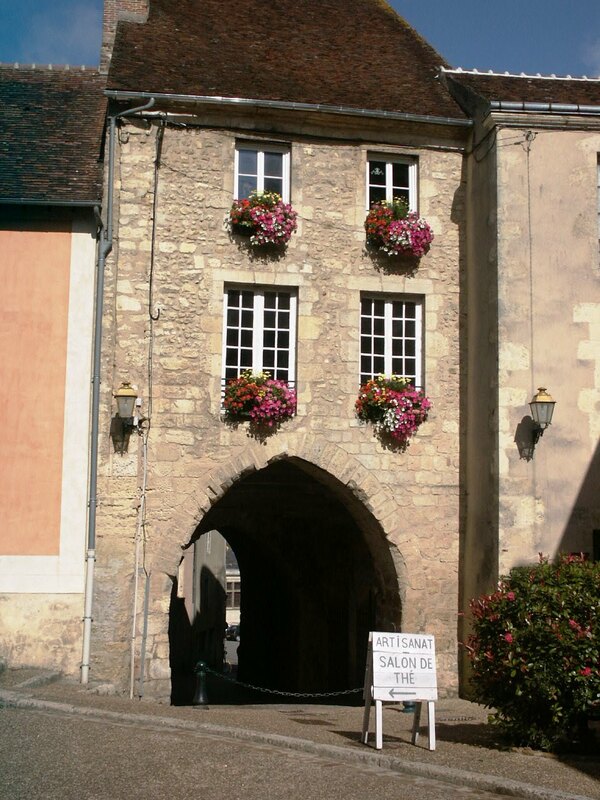 It is a picturesque town with its medieval remains, a gateway porch of the fifteenth century, arches and many mansions dating from the seventeenth and eighteenth centuries, such as Hotel Bansard-des-Bois near the moat of the old fortress. See also the vicarage garden, overlooking the forest of Bellême. 18 km northeast of Bellême is the town of Rémelard, birthplace of Octave Mirbeau, the author of the novel “Diary of a Chambermaid”. The town hall is located in the manor where he spent his childhood. From Rémalard on the road to Moutiers-au-Perche on the right after about 5 km, make sure you see the stunning manor house in the valley of the Yore; it is a private mansion in the eighteenth century style. At Moutiers-au-Perche, take a stroll to discover the village houses clinging to a hillside. 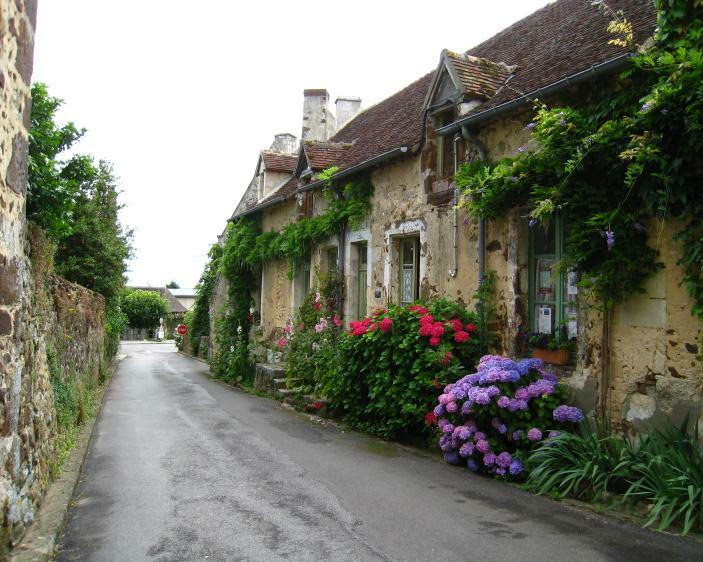 Villeray is a typical, pretty Perche village, on the hillside below the sixteenth century château. There are some very pretty houses in the village. Along the river you’ll find a mill, and above the Villeray château with its white facade – now a hotel. 8 km east of Bellême; some beautiful mansions are visible from the road. On leaving Nocé, on the road to Berd’huis look out for the Manoir de Lormarin, constructed in the sixteenth century with three round towers. The former stables have been converted into an antiques shop “l’Atelier d’Alban” and you can wander round the grounds of the manor from Thursdays to Sundays, from 2 to 7pm. Follow the road as far as Préaux-du-Perche and you’ll see the Manoir de Lubinière, another elegant sixteenth century manor house. 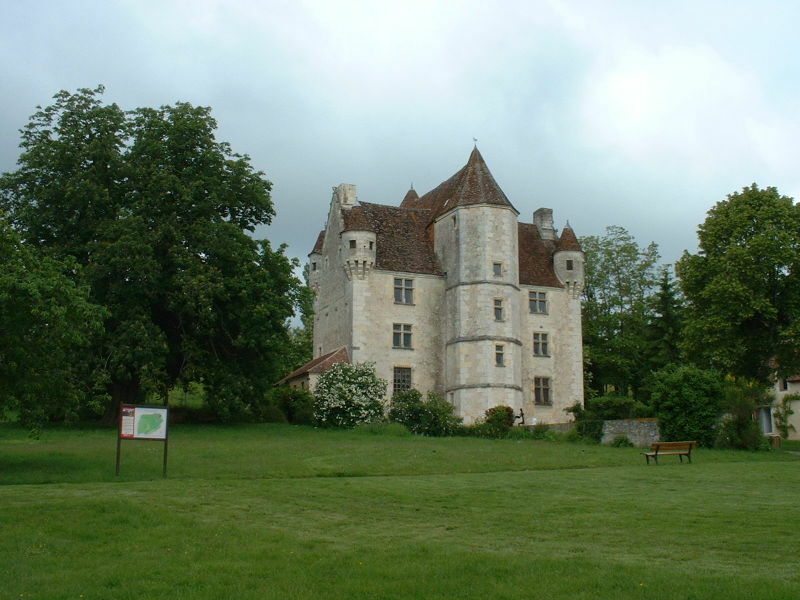 The Manoir de Courboyer, 3 km to the north of Nocé, is one of the most remarkable manor houses built in the Perche and dates from the late fifteenth century. It is one of the few open to the public and is not to be missed. 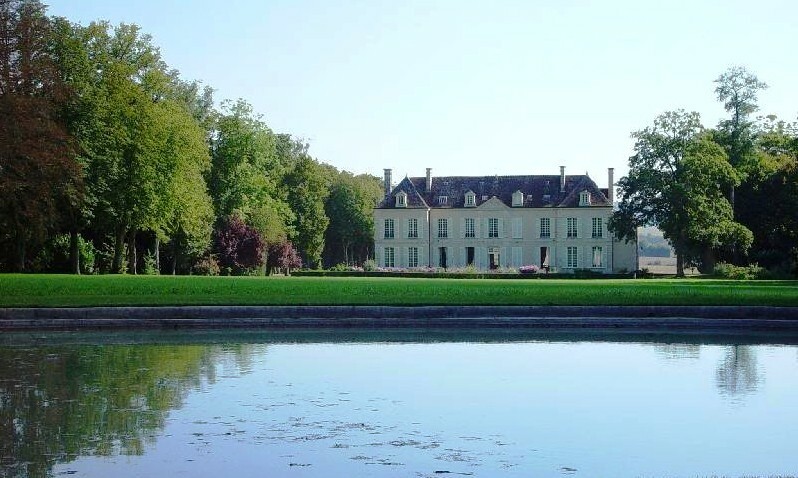 This magnificent Percheron mansion now houses the Maison du Parc Naturel Régional du Perche. A friendly team offers information on the Perche region and its history. In the “flag room” is one of the last three surviving battle flags of the “Kingdom”, captured by Pierre Fontenay during the sixteenth century War of Religion. Down the road and 2 km from Saint-Cyr-la-Rosière, in a beautiful countryside, is the manor of Angenardière – yet another manor dating from the sixteenth century. It is flanked by two large towers. The Park and Gardens of the Chateau de Lorière, 2 km north of Theil on the Rémalard road is open to the public (entrance fee – 1 hour visit) from May to September, weekends and holidays (the chateau interior is not) . English style gardens have been planted there over 150 years covering 15 acres. Not a typical Perche manor house, but an impressive chateau and well worth a visit. 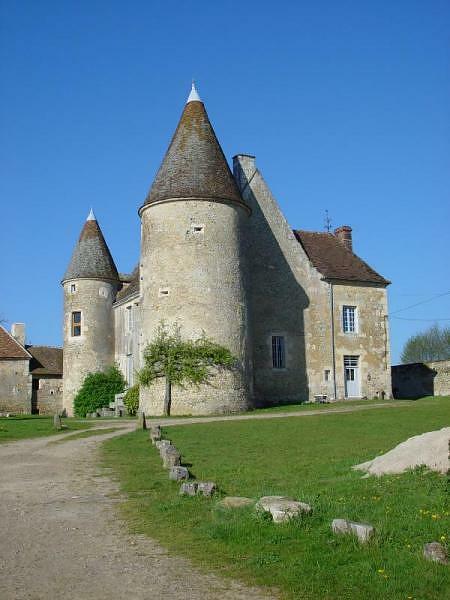 A small village north-east of Bellême which presents a set of typical Percheron houses, dominated by the Great Farm House, former mansion of Colonard Corubert. Perched on a spur of granite this little village has all the charm of an old fortress, with its old narrow streets. There is a very nice bar, tearooms and a brocante (antique shop) and artist sculptor’s gallery. You can see many picture-box houses of the sixteenth and seventeenth centuries. Make sure you take a walk around the church, behind which are fantastic views of the valley. Can we add two restaurant recommendations to your Le Perche manor house trail? La croix d’or in Le pin la Garenne appears in the Michelin rouge. Excellent food in a very pretty room. The other is in St Langis les Mortagne, by the lake at the end of the chemin de la Folle Entreprise–it’s called Pieds dans l’eau and last year made the Guide du Routard. Delicious food in a charming setting. We return to these two places because the food is so good and reasonably priced, at least at lunch. I enjoy your blog. I think I’ve read all your back posts, but I don’t recall if you mentioned the garden at Reveillon. Small but packed with interest, because the owner gives you the tour. Thanks – happy to add those! The garden at Reveillon is a new one on me – I had to look it up on the Internet. Would it be the garden “La Bourdonnière”, http://bourdonniere.free.fr/ ? Looks like the garden we’re trying to create here, so I’ll have to visit. Site info says open 1 May to 30 Sept, Friday and Saturdays 2pm to 7pm. There’s a list of more gardens we like on our B&B site at http://www.normandie-chambres.co.uk/gardens_normandy.html if you’re into garden visits. I’m not all that keen on guided garden tours – I like to wander and pause where I want – but I’ll definitely try to find this one as you recommend it. Many thanks!